Despite avoiding the notch throughout both 2017 and 2018, later this month Samsung will fully embrace the controversial design feature with the launch of its new budget smartphone series. And now, as per a report by 91Mobiles, it has been revealed that Samsung has even more notched smartphones up its sleeves. Set to arrive during the second quarter of the year, the upcoming Galaxy A50 will arrive complete with one of Samsung’s new Infinity-V panels which will be paired with an in-display fingerprint scanner. Unlike the Galaxy S10’s ultrasonic variant, though, this will be an optical sensor which means readings won’t be quite as accurate. Elsewhere, this particular smartphone will feature a triple-camera setup on the rear. Details weren’t provided but one previous leak pointed towards the presence of a main 24-megapixel sensor. If true, the Galaxy A50 will likely borrow the Galaxy A7’s triple-camera layout by also featuring a separate wide-angle camera and depth sensor. But let’s hope some improvements have been made to the quality as it wasn’t exactly impressive last time around. Completing the Galaxy A50’s setup will be the Exynos 9610 and 4GB of RAM. Performance-wise, this puts the smartphone more or less on par with the upper-midrange Galaxy A9 (2018), although this phone features either 6GB or 8GB of RAM. Storage remains a mystery at the moment, but a recent benchmark did reveal that the Galaxy A50 will ship with Android 9 Pie straight out of the box. 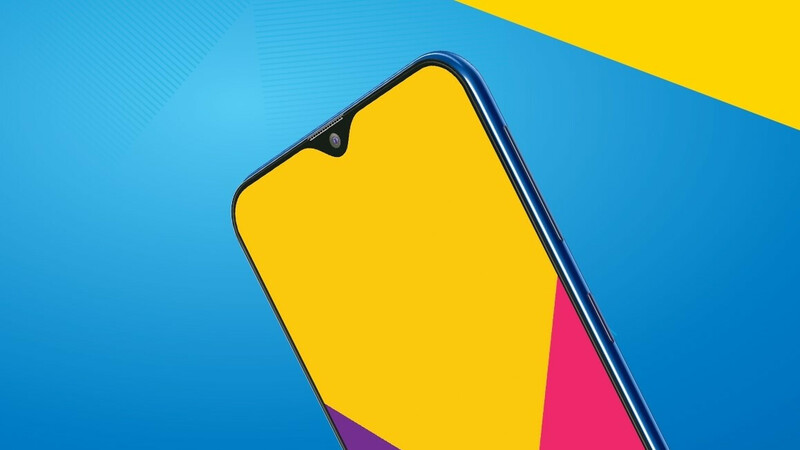 According to previous information, the Galaxy A50 will make its debut alongside the Galaxy A70 and Galaxy A90. Much like their cheaper sibling, these two models are prime candidates for Samsung’s notched Infinity-V panels, bringing the total number of notched smartphones to six. Both the Galaxy A70 and Galaxy A90 will also feature in-display fingerprint scanners and multiple cameras on the rear. Additionally, while details about the former are scarce, the latter should be available with 128GB of storage and three gradient colors: black, gold, and silver. That should of been the S10 instead of the big camera hole. I like the camera hole idea, I just don't like that it's positioned towards the edge. Guess I better get me a newer notchless phone before they're gone. Notch is bad anyway, hole or large. Prepare your coffin, Samsung. Apple has already made it. Why people no longer enjoy pure display with no holes and notches?! gross! hell no! Im not getting any notch phones. You are not going to have a choice soon. This teardrop notce if there has to be one is the best. But i do like thin bezels over any thing. it looks like OP6T. why with the notch? S8, ,S9 looked good.